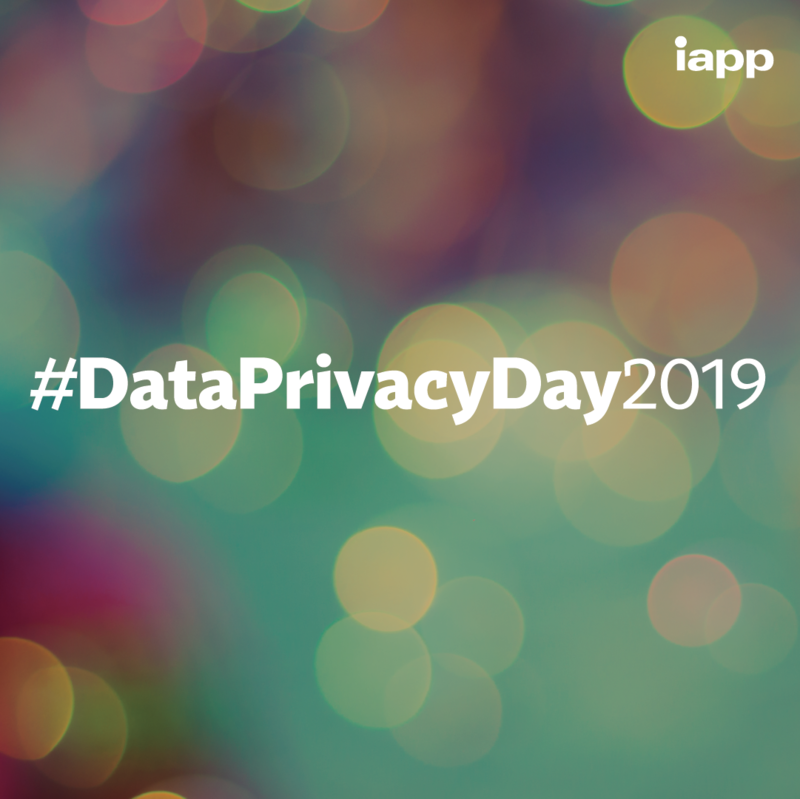 Data Privacy Day, which lands annually on January 28, Is “an international effort to create awareness about the importance of respecting privacy, safeguarding data and enabling trust”. 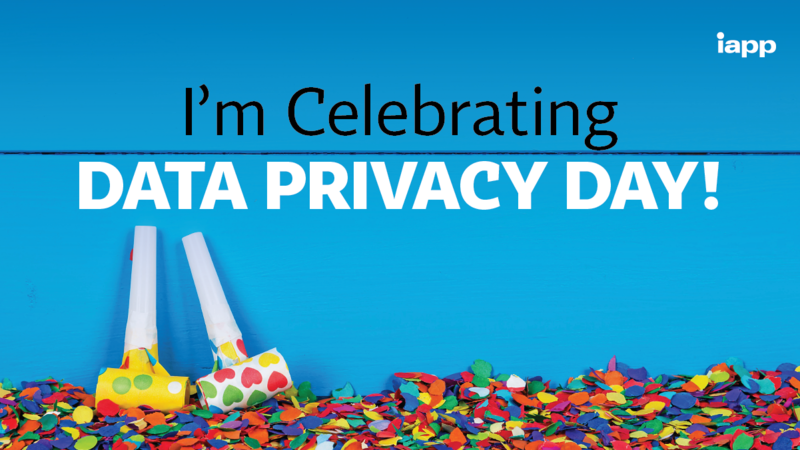 January 28 is a good day to recognize how quickly the privacy industry is growing. It’s a day to celebrate you or your staff for helping keeping people’s data safe. 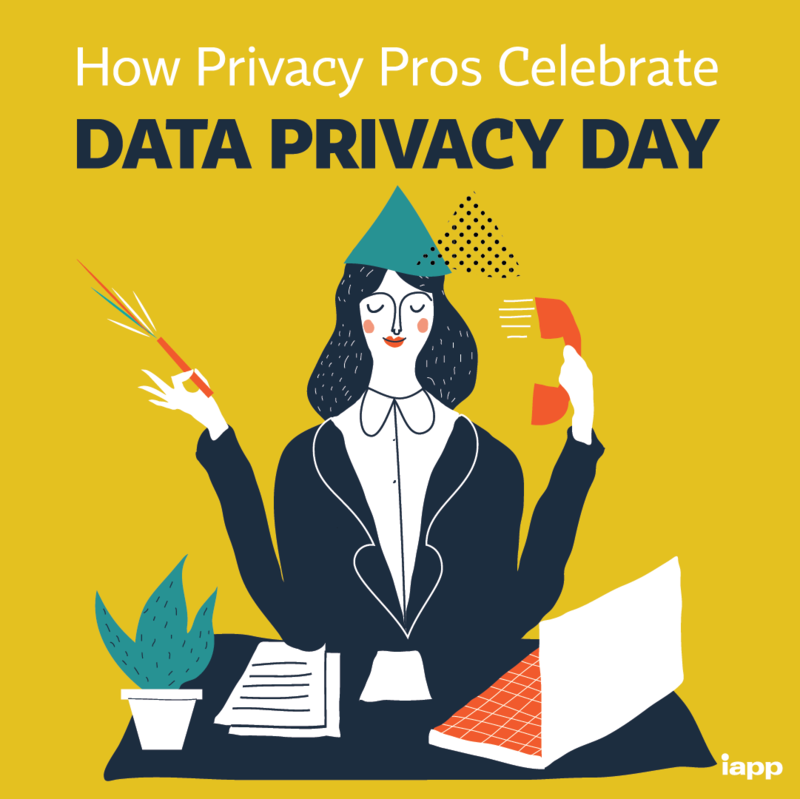 It’s a day where you can take the opportunity to educate your staff about why privacy matters, and it’s about connecting with other privacy pros to network, to engage, ask questions, and party like a privacy pro. 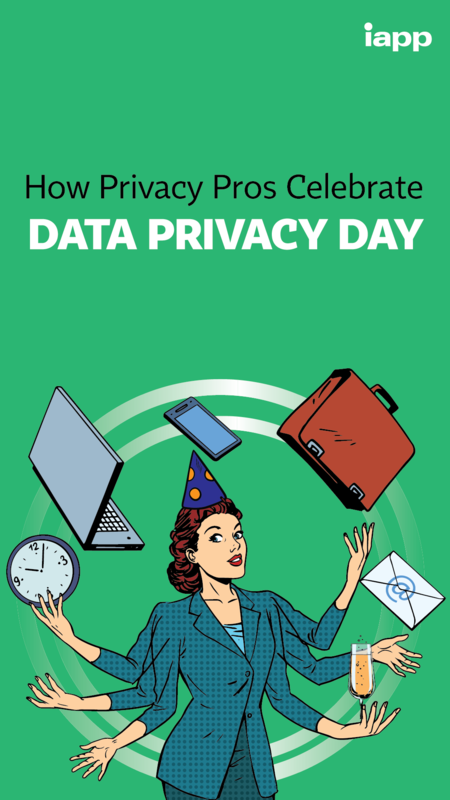 Below we’ve provide a few tools and resources to help you prepare and celebrate Data Privacy Day whichever way you choose. 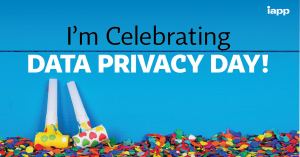 Thank your staff. Raise Awareness. 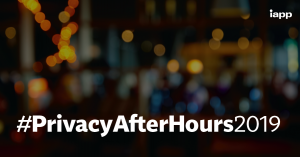 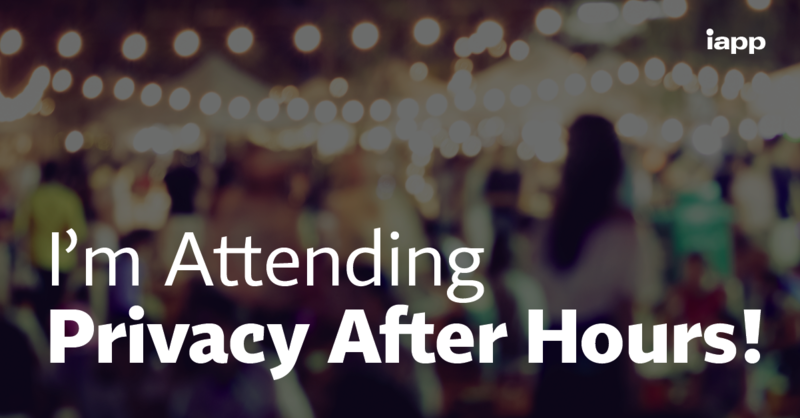 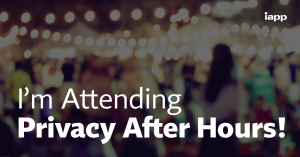 Attend a Privacy After Hours Event. 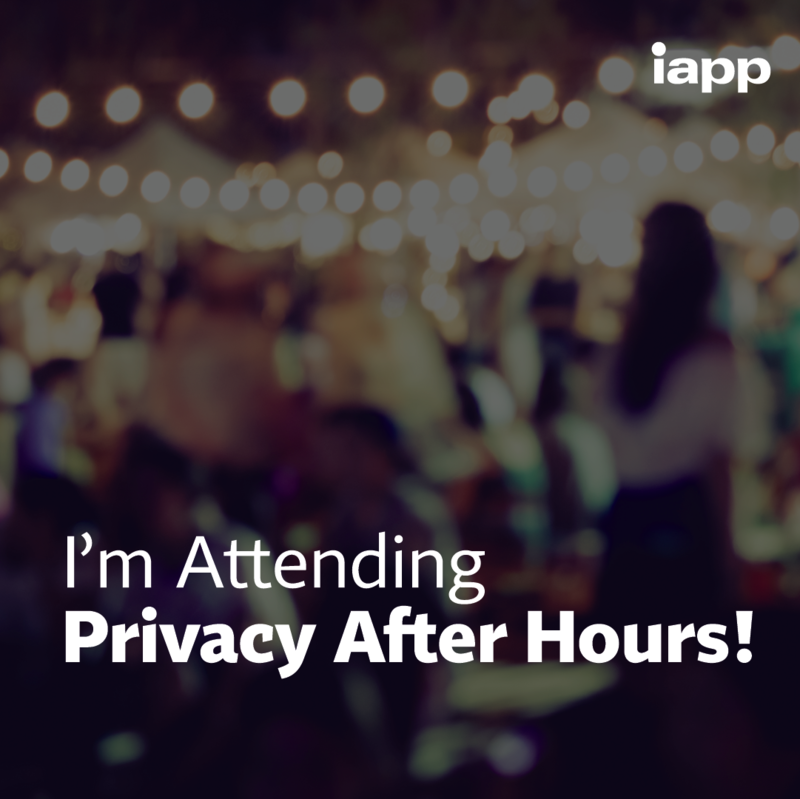 Share on Social. 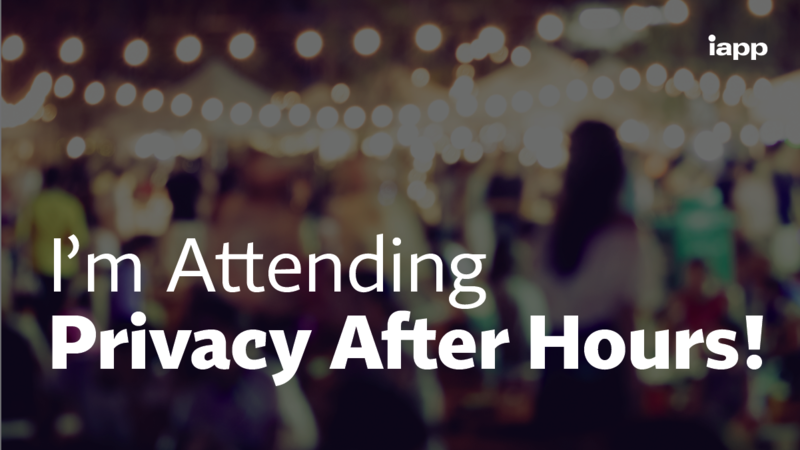 Bring in doughnuts, buy everyone pizza, or let everyone out a little early to attend a Privacy After Hours event. 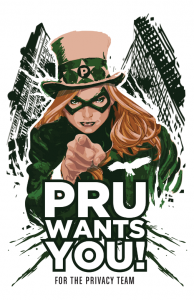 Let your staff know they are appreciated. 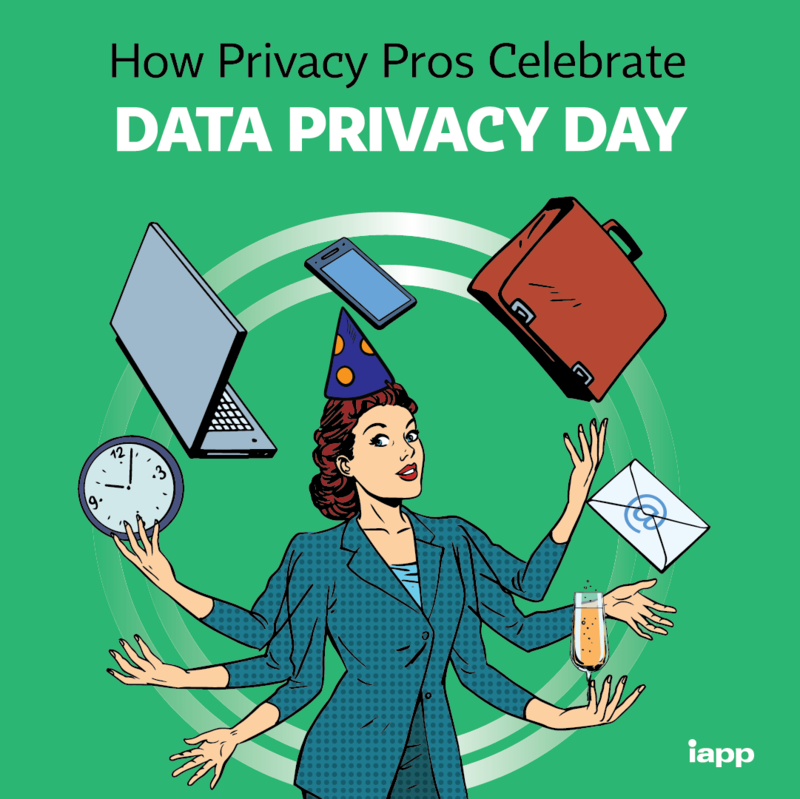 The IAPP’s Prudence the Privacy Pro comic strip is a tool for privacy professionals to use to help educate employees about privacy and data protection in a light-hearted way. 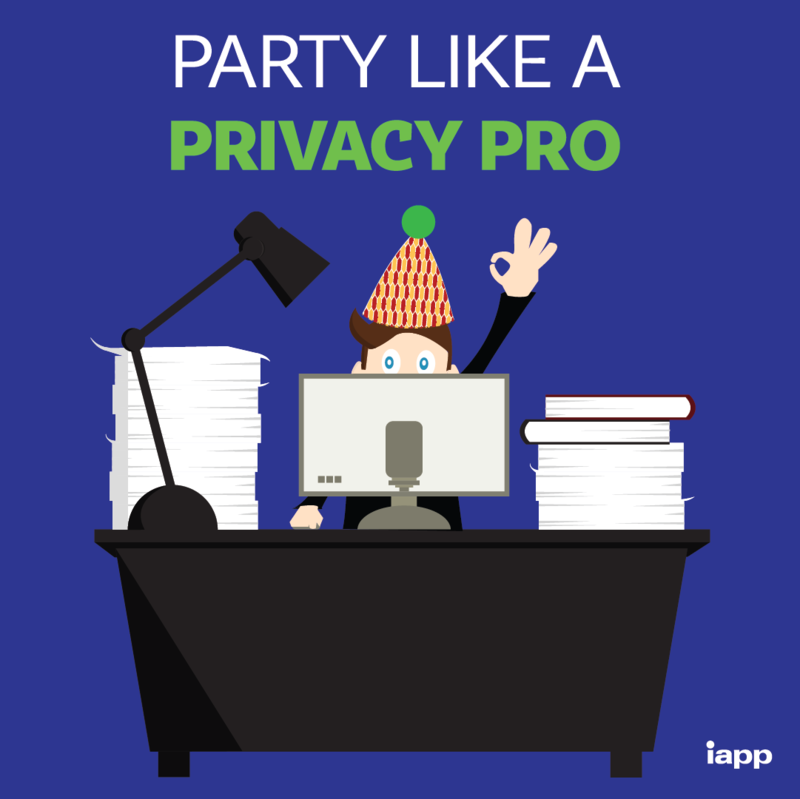 Now, you can print our Posters and Coasters to hang up in your office or keep rings of coffee off your desk, as reminders to be mindful about privacy. 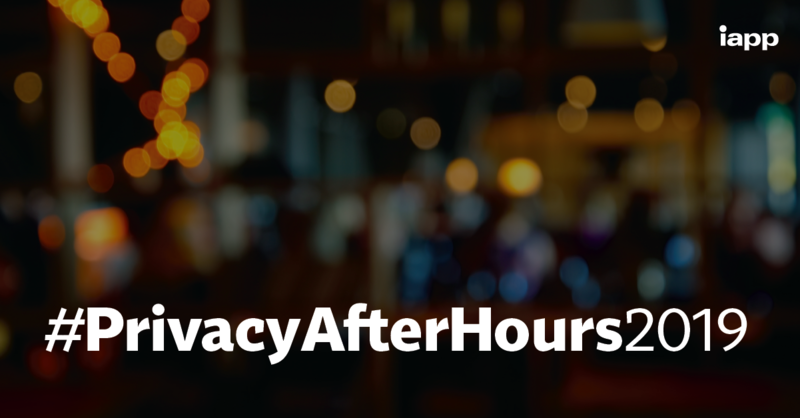 Attend a Privacy After Hours Event. 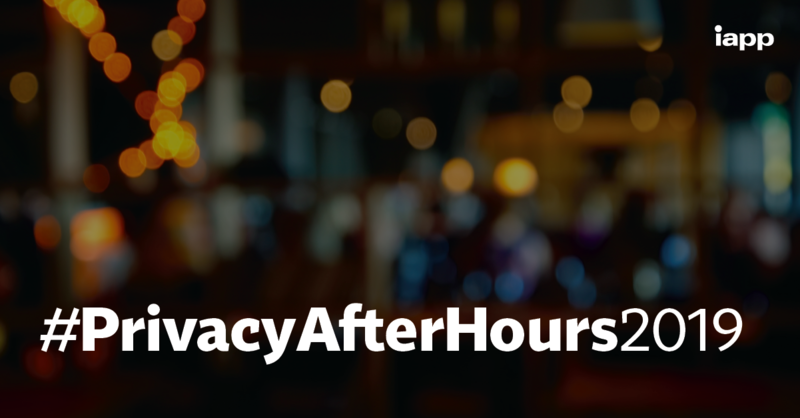 We’re sure you will have plenty to talk about at your Privacy After Hours event, but in case you need a starter, we came up with a few questions to get the conversations going. 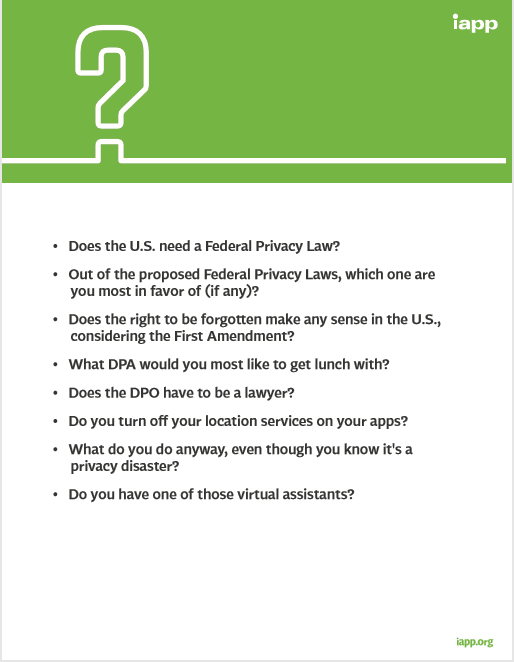 To print these questions, click here. 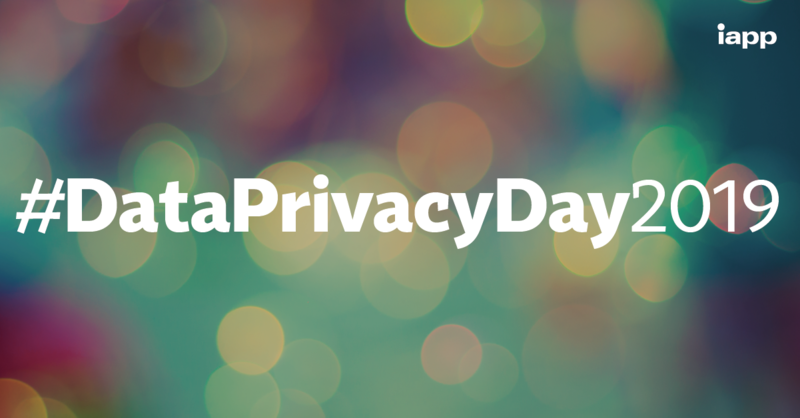 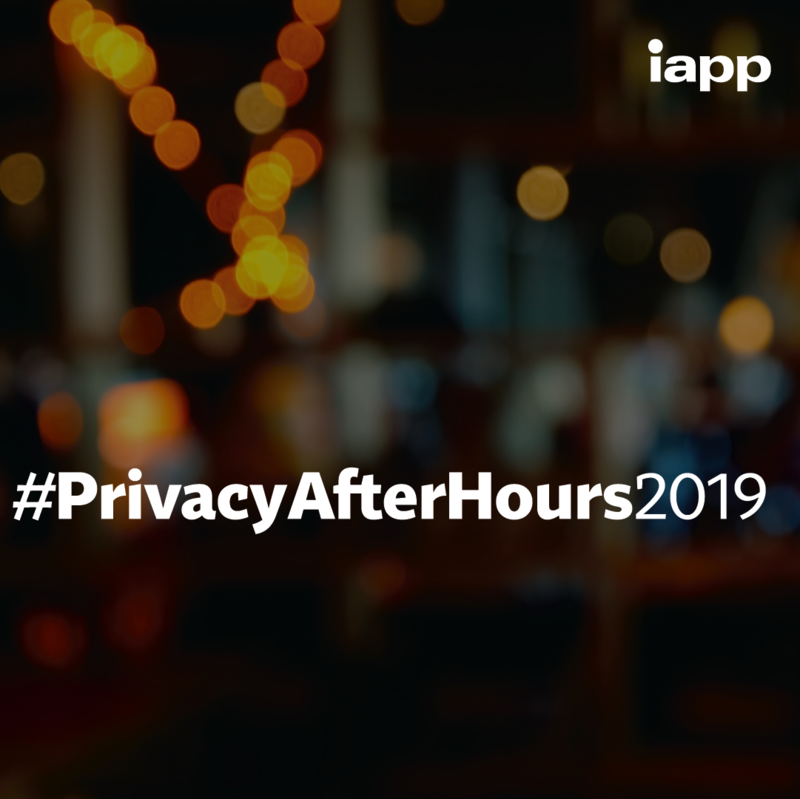 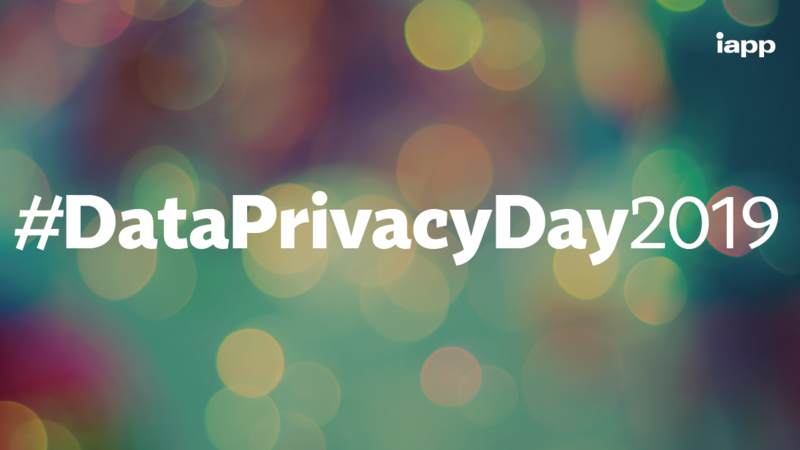 Tell us how you’re celebrating Data Privacy Day using #DataPrivacyDay2019 or share photos and topics from your #PrivacyAfterHours2019 events. 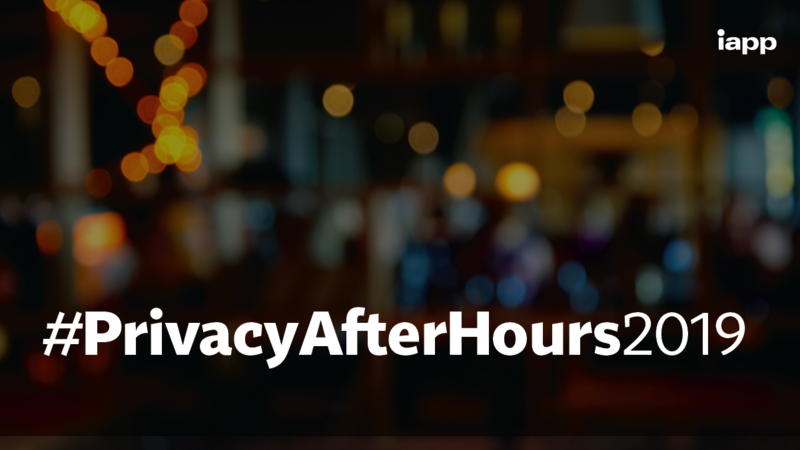 We also created graphics for you to share, just click the hyperlinks and download your preferred image. 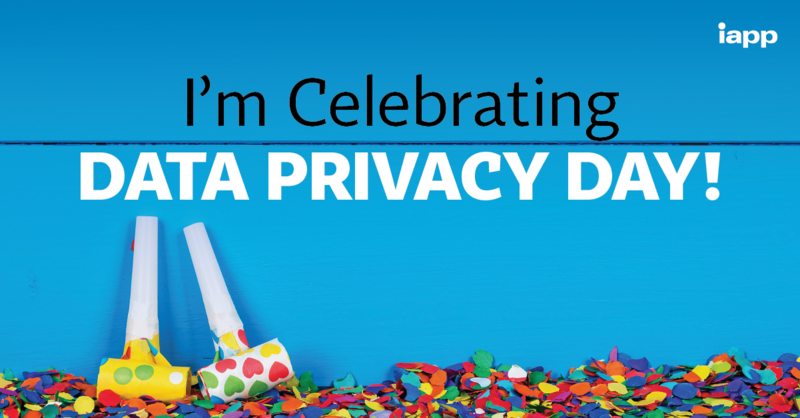 Download Graphics for LinkedIn, Twitter, Facebook and Instagram. 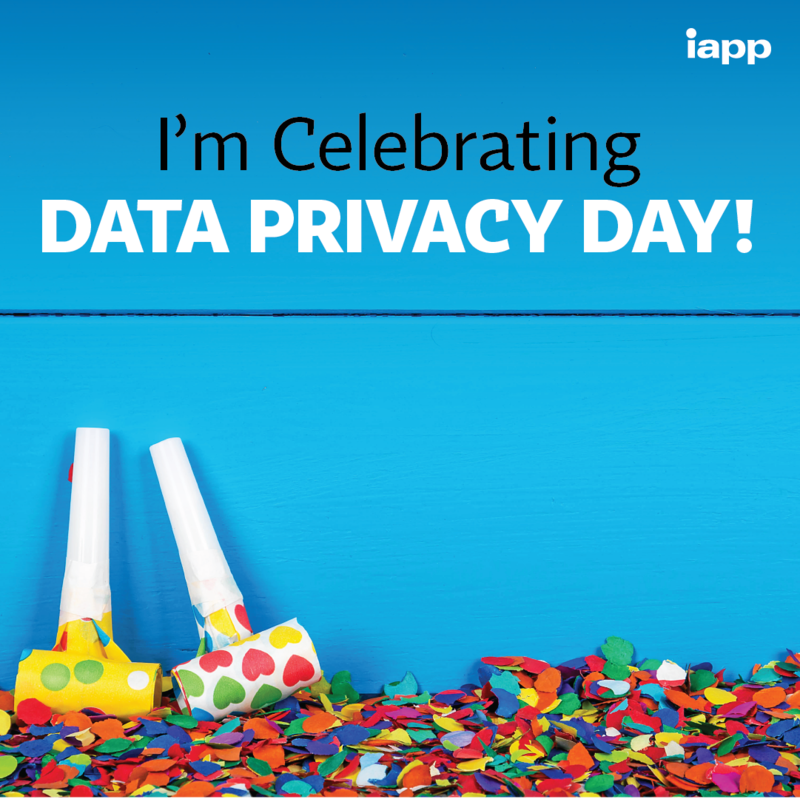 Download Graphics for LinkedIn, Twitter, Facebook, Instagram and Instagram Story.